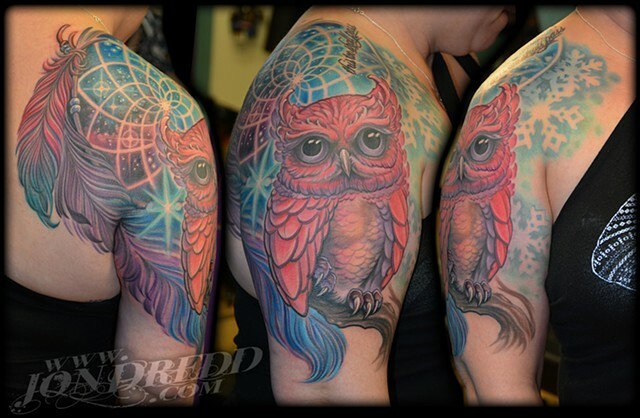 This tattoo was presented a challenge in merging a dream catcher in to the background of the owl perched on a branch. we wanted the sky details to make up the parts of the dream catcher and included feathers down one side, and snow flakes down the other, framing the owl. lots of color... fun stuff!